If two superheros were going to engage in an epic battle, one may imagine many reasons and places for such a star-studded spat — but the Super Bowl as the subject and Twitter as the battleground? Probably not everyone’s first guesses. 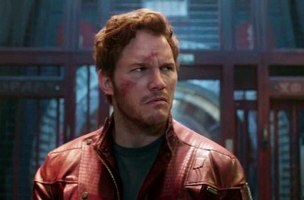 Some good-natured trash talk between fans of opposing Superbowl teams is hardly newsworthy, but when the fans are none other than Captain American and Star Lord (Chris Evans and Chris Pratt, respectively), the results can be epic. After some hilarious back-and forth, the two actors landed on an agreeable solution to their rivalry — a friendly wager in the name of charity. You didn’t think this would end without a “DeflateGate” reference, did you? As the two are no strangers to costume-clad charity work, we have no doubt that whoever loses the bet will drag himself out of the depths of defeat to keep the promise.